Chevrolet’s first compact SUV with a diesel option has been unveiled at the Geneva Motor Show. 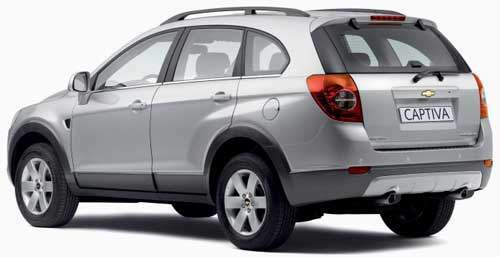 The Captiva was based on the Chevy/Daewoo S3X concept SUV shown back in 2004. 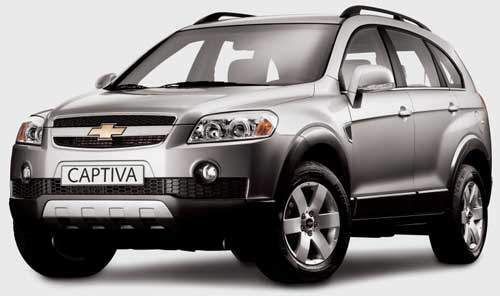 The Chevrolet Captiva comes with 3 engine options, a 2.4 litre inline-4 DOHC (142hp@5200rpm, 220Nm@4000rpm) and a 3.2 litre V6 (225hp@6000rpm, 302Nm@3500rpm). The Captiva also has a turbodiesel model, a 2.0 litre 150hp common-rail direct injection turbodiesel sourced from Daewoo. It’s also Daewoo’s first turbodiesel engine. The compact SUV is 4,639mm long, 1,849mm wide and 1,726 mm tall with a wheelbase of 2702mm and comes with 5-seater and 7-seater seating arrangements. It’s available in front-wheel or full-time 4WD options. Considering it’s pretty hot looks, I hope Hicomobile adds it to Chevrolet’s local line-up, but it’s not sure if it’s likely because this SUV has been designed and targetted at the European market.